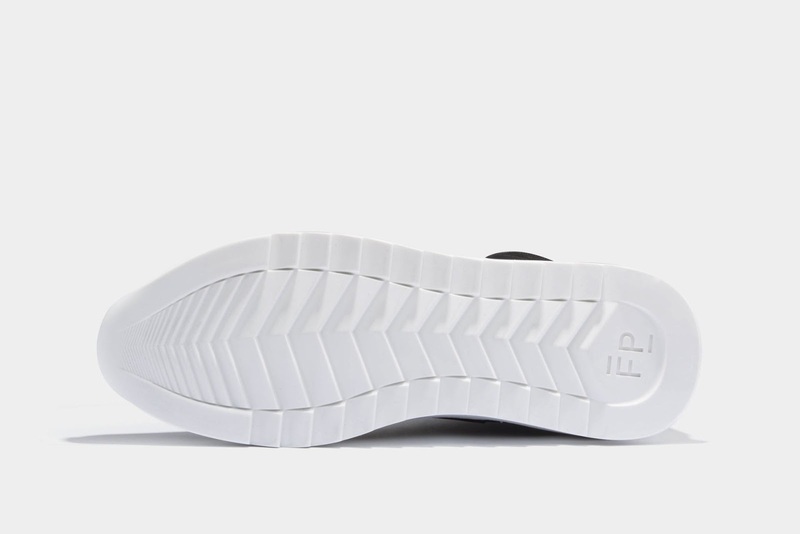 Your life shouldn't be one-dimensional, so neither should your footwear. 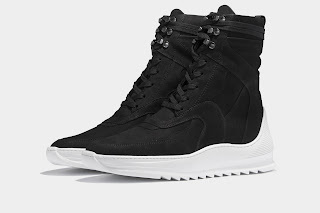 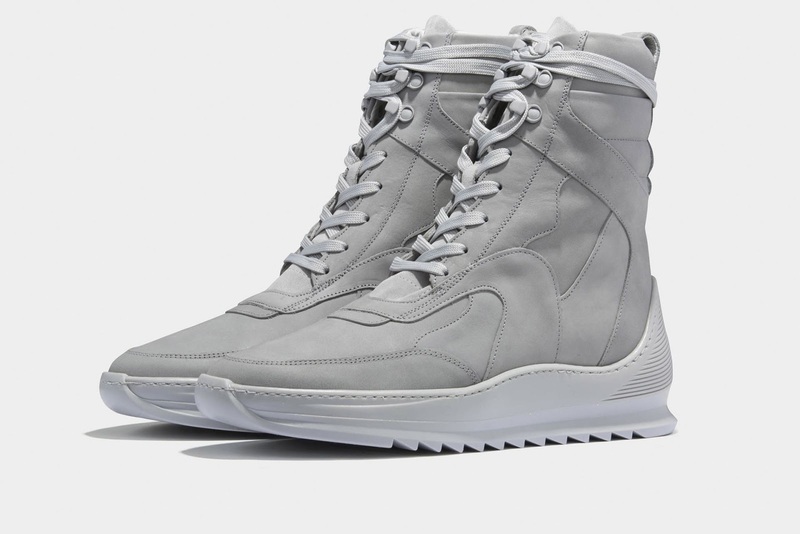 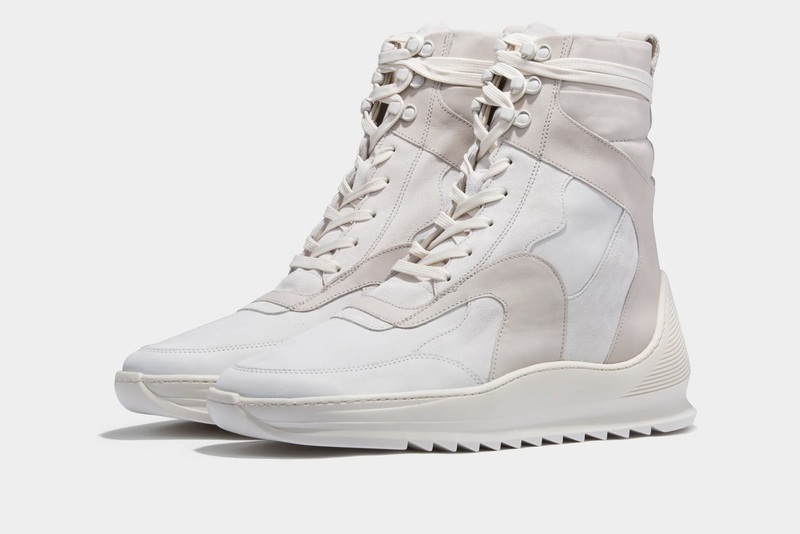 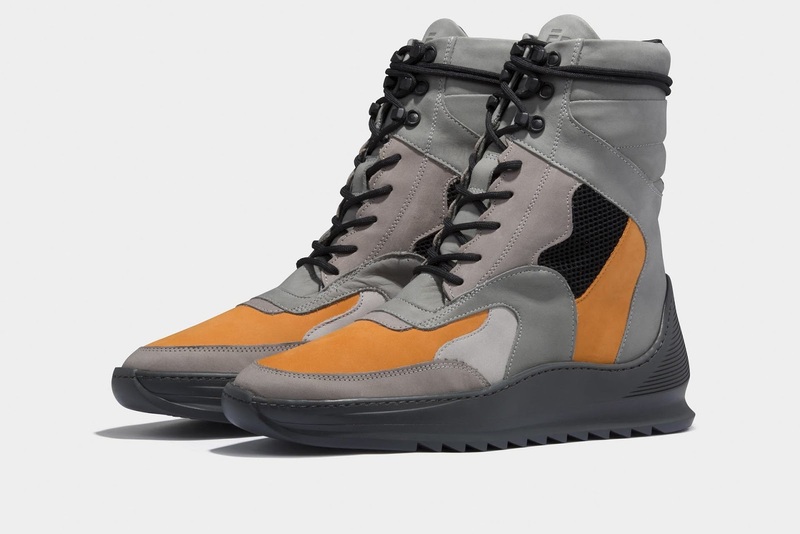 Filling Pieces offers up a nice hybrid of sneaker and military boot with they Peak Boot Heel Cap Storm. 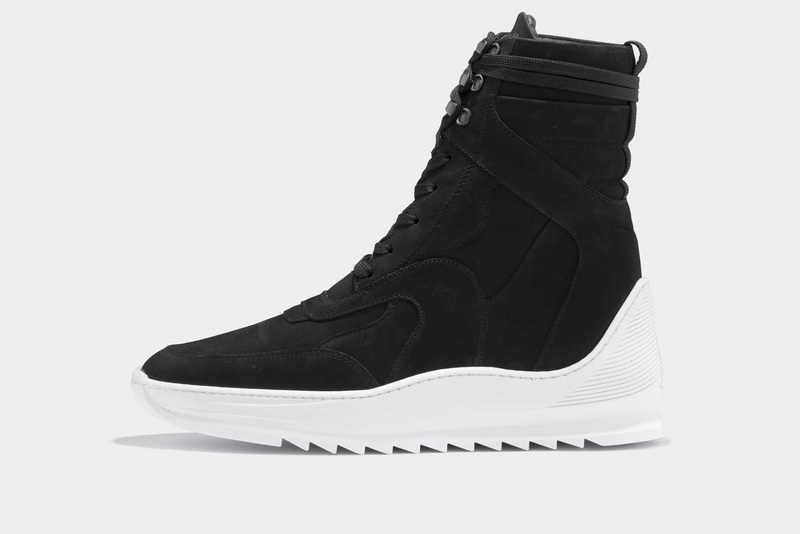 The upper features tonal layers of nubuck and suede, thick ankle padding and powder coated lace hooks. 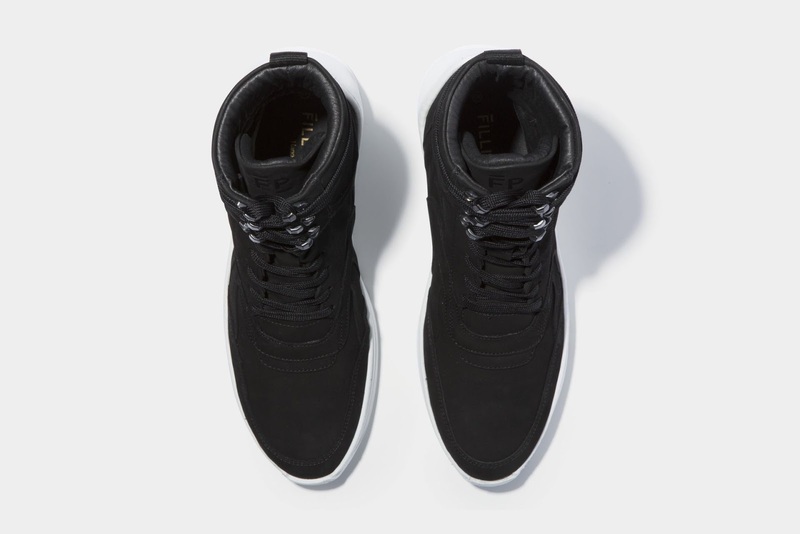 The treaded wave sole, which Filling Pieces is calling their new Heel Cap Sole, creates a modern contrast finish for this boot and works very well with the slender tall shaft silhouette to this boot. 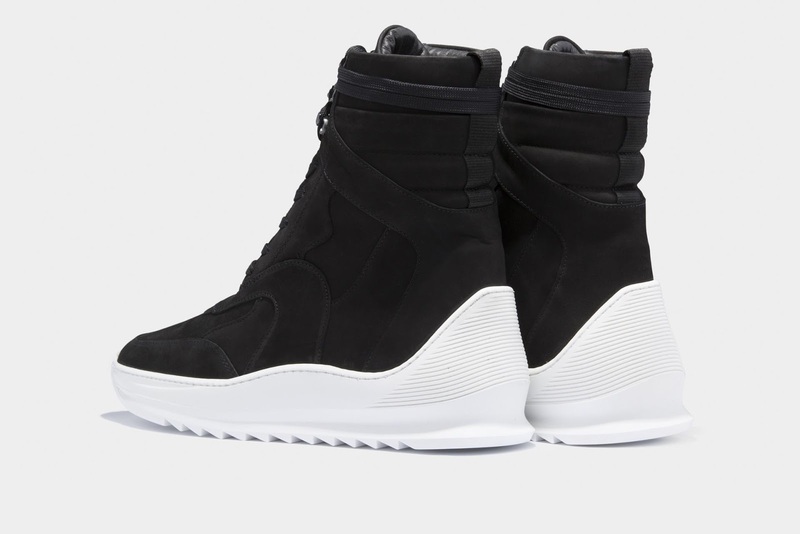 Available now in all four color ways now at FillingPieces.com.